Fundamental to oral fluency, pragmatic markers facilitate the flow of spontaneous, interactional and social conversation. Variously termed 'hedges', 'fumbles' and 'conversational greasers' in earlier academic studies, this book explores the meaning, function and role of 'well', 'I mean', 'just', 'sort of', 'like' and 'you know' in British English. 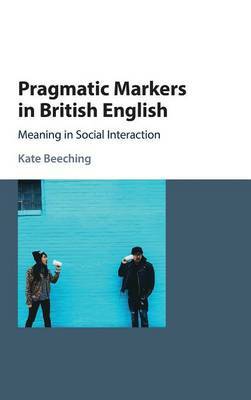 Adopting a sociolinguistic and historical perspective, Beeching investigates how these six commonly occurring pragmatic markers are used and the ways in which their current meanings and functions have evolved. Informed by empirical data from a wide range of contemporary and historical sources, including a small corpus of spoken English collected in 2011-14, the British National Corpus and the Old Bailey Corpus, Pragmatic Markers in British English contributes to debates about language variation and change, incrementation in adolescence and grammaticalisation and pragmaticalisation. It will be fascinating reading for researchers and students in linguistics and English, as well as non-specialists intrigued by this speech phenomenon.